This tour will take you to the pre-classic archeological site of Uaxactun. It was used as the first astronomy observatory in the Mayan area and is now home to the last traditional Petenera community. This tour will take you to the preclassic archeological site of Uaxactun. It was used as the first astronomy observatory in the Mayan area and is now home to the last traditional Petenera community. They have been living in harmony with the forest since the beginning of 1900. The site is situated in the heart of the Maya world, close to an international airport, on the road to the border with Belize and only 5 hours away from Palenque. The tours are organized by the community. When you participate, you are helping to generate local income, improve the living conditions of the local inhabitants and you contribute to the conservation of cultural and natural heritage. Duration of tour: 9:00 Hours approximately. Included: Transportation round trip, entrance fee, lunch without drink and a certified bilingual guide. Not included: Water, extra meals, tips to the guide or driver. Tikal is located in the archaeological region of the Petén Basin in Northern Guatemala. This tour will take you to this majestic Archeological Park and together with a certified and bilingual guide you will explore its fascinating history. 07:45 am – Collective transportation from your hotel in Flores to the National Park of Tikal (45 minutes to 1 hour maximum). 09:30 am – Start group tour through ruins in Tikal, including the entrance fee and bilingual guide. The tour takes a long 4 hours and is very interesting because you will learn about the history of the Mayan king, about the green jungle and precious ruins like Complex Q, the Main Plaza, the 7 temples and the Lost World. 13:00 pm – Lunch included (without beverage) and after lunch some free time in Tikal. 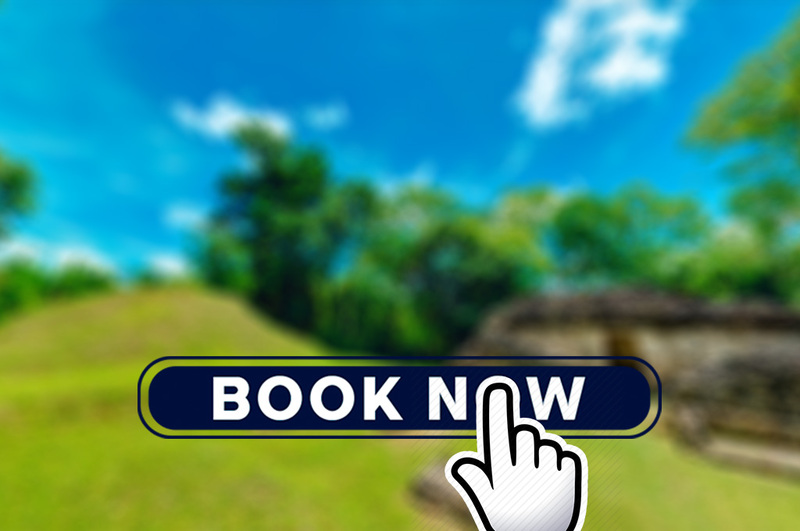 15:15 pm – Collective shuttle from Tikal to Flores, arriving at around 17:00 pm at your hotel. Note: If you want to sleep in Tikal ask to the company for the best options! We can provide you with hotels in TIKAL or just outside . Ask also for trips to UAXACTUN, YAXHA and other sites ! Duration of tour: 7 Hours approximately. This Archaeological site is located in the department of Peten, in the municipality of Sayaxche, and owes its name to the large number of Ceiba trees in the area. Stelae are the main attractions, because they are the best preserved and restored with a special fineness. It also holds two structures that are already completely restored. In 1985 it was declared an Archaeological Park, but it was until 1995 that it became a protected area. The tour leaves at 08:00 am from Flores and takes you to Sayaxche, from where you will take a boat along La Passion River. You can also reach the site by 4×4 vehicle. Duration of tour: 8:00 Hours approximately. Included: Transportation round trip and guide. Not included: Entrance fee, food, tips to the guide or driver. Location: Peninsula Tayasal or Park Petencito. This exciting tour is ideal for explorers who love nature and birds but don’t have a lot of experience. From your hotel we will head to the reserve to search the most beautiful bird species in this area. You will appreciate hearing the birds sing, see them fly and you will able to observe different water- and tree birds through a professional telescope. Duration of tour: 3:00 Hours approximately. Pick up and drop off places: Hotels in Flores. Included: Specialized guide and transfer from and to your hotel. Not included: Water, meals or snacks. What to bring: Sun cream and sun hat, comfortable and not colorful clothing sunglasses and water. Price: 45 USD / 55 USD p.p.